changes you're making in yourself and how that's impacting the world around you. Experience firsthand how small, consistent steps can transform your life! 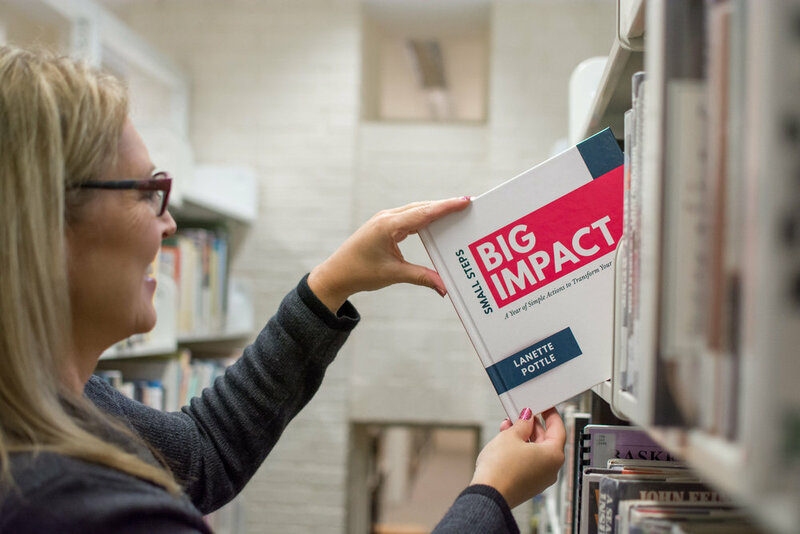 You can now purchase an autographed copy of Small Steps Big Impact even if you are unable to attend one of my in-person events. If you would like a personalized message for your book, please be sure to include the name you would like me to use. Interested in bulk or wholesale purchasing? Contact me directly. I am one of 20 co-authors (from six countries) who contributed to this collaborative book project. Our co-authors represent industries as varied as accounting, education, healthcare, human resources, insurance, the military, professional development, petroleum, and the arts. If you are a leader or aspire to be one, are searching for a leadership mentor that has been where you are, or are embarking on a more significant leadership role, you'll find powerful answers and insights inside the pages of Success University For Women In Leadership.